PASIG 2019 met the week of February 11th at El Colegio de México (commonly known as Colmex) in Mexico City. PASIG stands for Preservation and Archiving Special Interest Group, and the group’s meeting brings together an international group of practitioners, industry experts, vendors, and researchers to discuss practical digital preservation topics and approaches. This meeting was particularly special because it was the first time the group convened in Latin America (past meetings have generally been held in Europe and the United States). Excellent real-time bilingual translation for presentations given in both English and Spanish enabled conversations across geographical and lingual boundaries and made room to center Latin American preservationists’ perspectives and transformative post-custodial archival practice. Perla Rodriguez of the Universidad Nacional Autónoma de México (UNAM) discusses an audiovisual preservation case study. 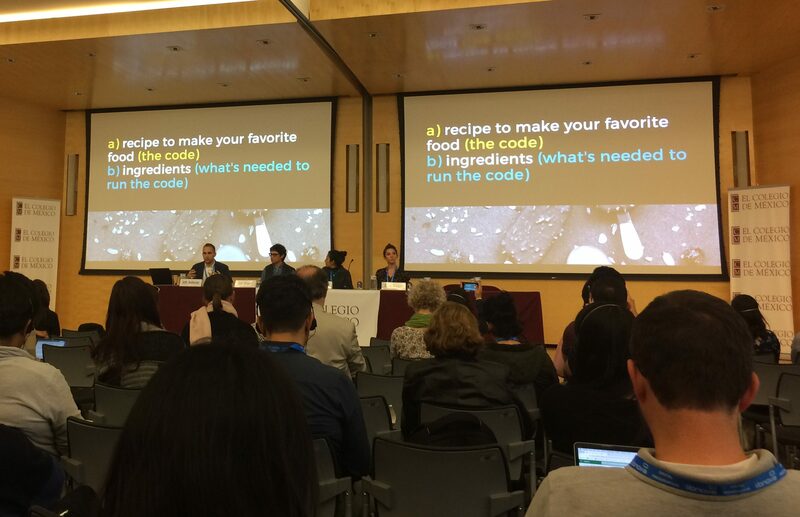 The conference began with broad overviews of digital preservation topics and tools to create a common starting ground, followed by more focused deep-dives on subsequent days. I saw two major themes emerge over the course of the week. The first was the importance of people over technology in digital preservation. From David Minor’s introductory session to Isabel Galina Russell’s overview of the digital preservation landscape in Mexico, presenters continuously surfaced examples of the “people side” of digital preservation (think: preservation policies, appraisal strategies, human labor and decision-making, keeping momentum for programs, communicating to stakeholders, ethical partnerships). One point that struck me during the community archives session was Verónica Reyes-Escudero’s discussion of “cultural competency as a tool for front-end digital preservation.” By conceptualizing interpersonal skills as a technology for facilitating digital preservation, we gain a broader and more ethically grounded idea of what it is we are really trying to do by preserving bits in the first place. Software and hardware are part of the picture, but they are certainly not the whole view. The second major theme was that digital preservation is best done together. Distributed digital preservation platforms, consortial preservation models, and collaborative research networks were also well-represented by speakers from LOCKSS, Texas Digital Library (TDL), Duraspace, Open Preservation Foundation, Software Preservation Network, and others. The takeaway from these sessions was that the sheer resource-intensiveness of digital preservation means that institutions, both large and small, are going to have to collaborate in order to achieve their goals. PASIG seemed to be a place where attendees could foster and strengthen these collective efforts. Throughout the conference, presenters also highlighted failures of collaborative projects and the need for sustainable financial and governance models, particularly in light of recent developments at the Digital Preservation Network (DPN) and Digital Public Library of America (DPLA). I was particularly impressed by Mary Molinaro’s honest and informative discussion about the factors that led to the shuttering of DPN. Molinaro indicated that DPN would soon be publishing a final report in order to transparently share their model, flaws and all, with the broader community. Touching on both of these themes, Carlos Martínez Suárez of Video Trópico Sur gave a moving keynote about his collaboration with Natalie M. Baur, Preservation Librarian at Colmex, to digitize and preserve video recordings he made while living with indigenous groups in the Mexican state of Chiapas. The question and answer portion of this session highlighted some of the ethical issues surrounding rights and consent when providing access to intimate documentation of people’s lives. 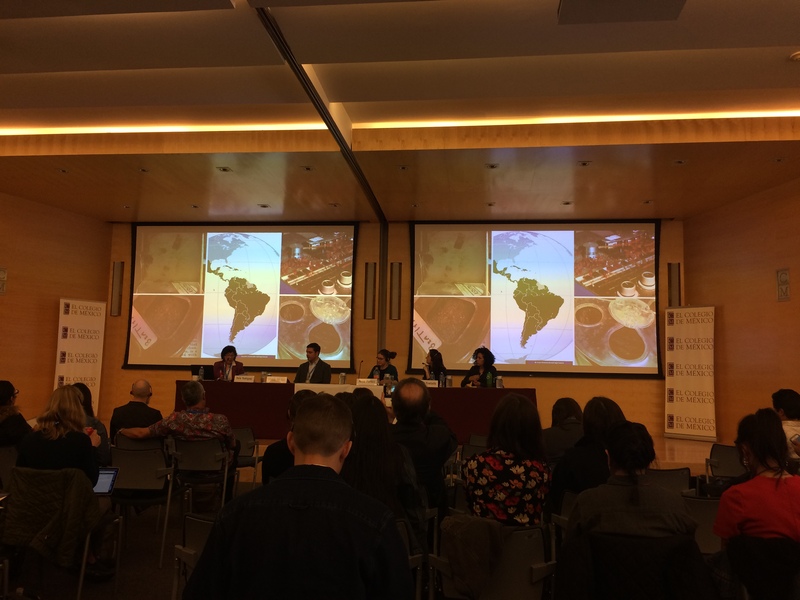 While Colmex is not yet focusing on access to this collection, it was informative to hear Baur and others talk a bit about the ongoing technical, legal, and ethical challenges of a work-in-progress collaboration. Presenters also provided some awesome practical tools for attendees to take home with them. One of the many great open resources session leaders shared was Frances Harrell (NEDCC) and Alexandra Chassanoff (Educopia)’s DigiPET: A Community Built Guide for Digital Preservation Education + Training Google document, a living resource for compiling educational tools that you can add to using this form. Julian Morley also shared a Preservation Storage Cost Model Google sheet that contains a template with a wealth of information about estimating the cost of different digital preservation storage models, including comparisons for several cloud providers. Amy Rudersdorf (AVP), Ben Fino-Radin (Small Data Industries), and Frances Harrell (NEDCC) also discussed helpful frameworks for conducting self-assessments. Selina Aragon, Daina Bouquin, Don Brower, and Seth Anderson discuss the challenges of software preservation. PASIG closed out by spending some time on the challenges involved with preserving emerging and complex formats. On the last afternoon of sessions, Amelia Acker (University of Texas at Austin) spoke about the importance of preserving APIs, terms of service, and other “born-networked” formats when archiving social media. She was followed by a panel of software preservationists who discussed different use cases for preserving binaries, source code, and other software artifacts. Conference slides are all available online. Thanks to the wonderful work of the PASIG 2019 steering, program, and local arrangements committees! 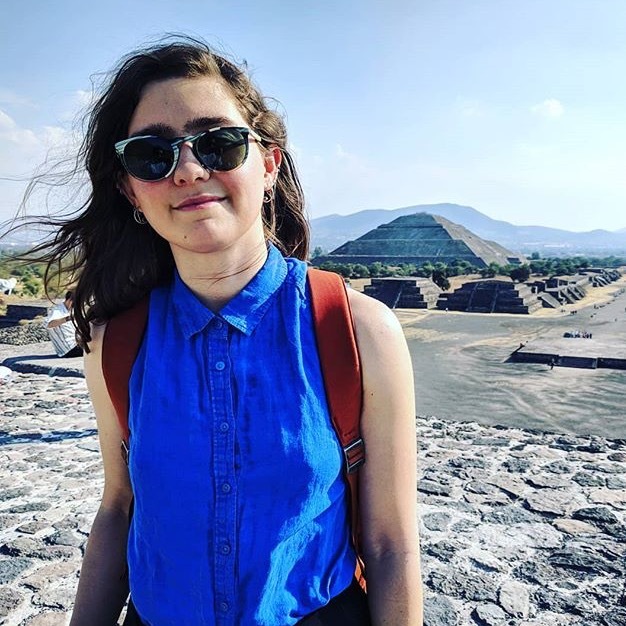 Kelly Bolding is the Project Archivist for Americana Manuscript Collections at Princeton University Library, as well as the team leader for bloggERS! She is interested in developing workflows for processing born-digital and audiovisual materials and making archival description more accurate, ethical, and inclusive.